Photos provided by Barb Heiss, Robert Taylor, Patricia Gonzalez, Jim Clatterbaugh, Howard Harris, Maxine & Steve Wrzesien. 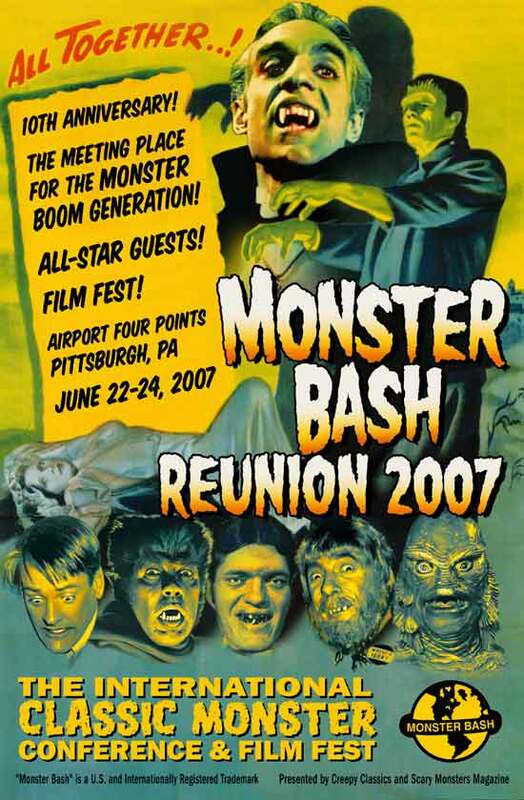 Free monster stuff - DVDs, frisbees, beach balls, rubber monsters - thrown out to the audience Saturday night! 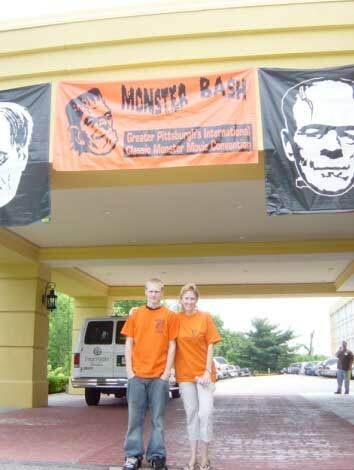 Bash staffers Travis and Tami arrive at Monster Bash. 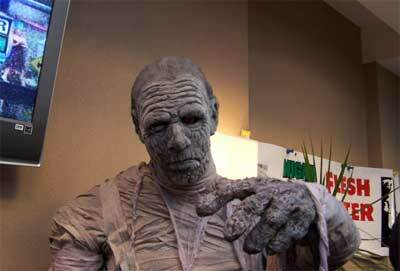 The Great Garou fom the Penny Dreadful TV show. 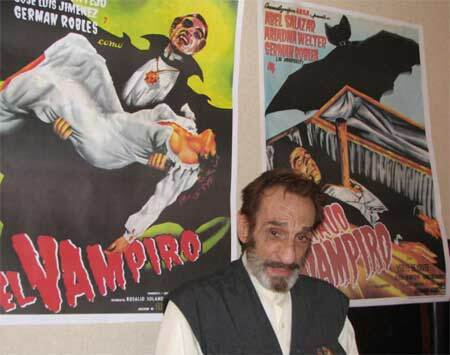 German Robles who was "El Vampiro" signs autographs at Monster Bash 2007. 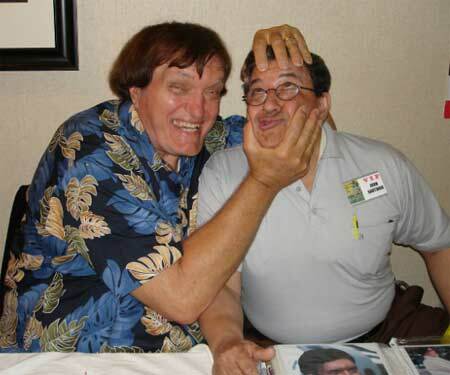 The "Jaws" squeeze on John Santiago from Richard Kiel. 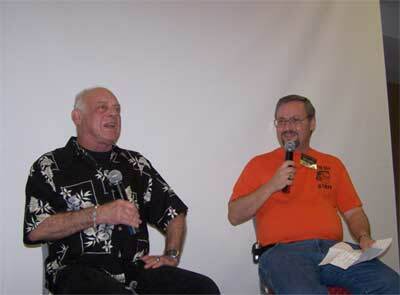 Actor Jonathan Haze had 'em laughing during his Q & A with Bob Pellegrino! 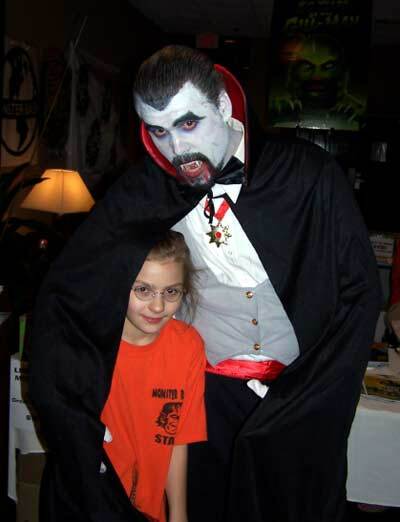 The Count (Jon Doerr) with a hidden Bash staffer, Paisley Adams. 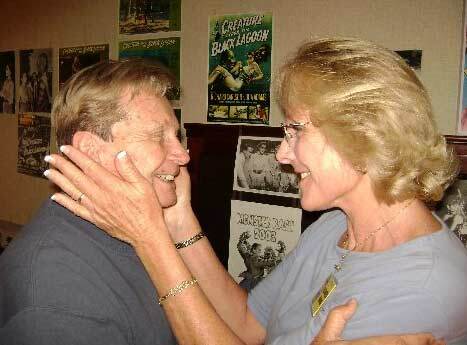 Actor Kenny Miller and Dee Ankers-Denning reunite at Bash! 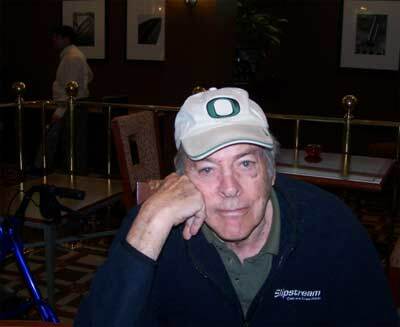 93 year old Kevin McCarthy (INVASION OF THE BODY SNATCHERS) relaxes in the hotel bar. 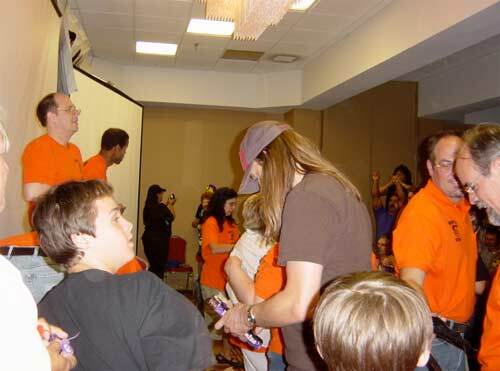 Kharis lurks the lobby at Monster Bash 2007, thanks to Jerry and Susan Armellino. 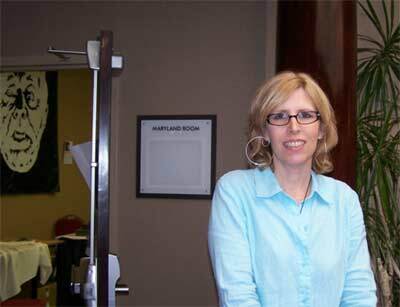 Kyra Schon, the little girl from the original NIGHT oF THE LIVING DEAD, is all grown up and school teacher too! 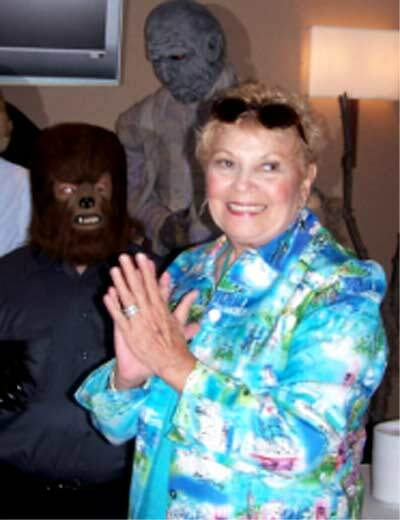 Laurie Mitchell (the queen in QUEEN OF OUTER SPACE) delights fans at Monster Bash! 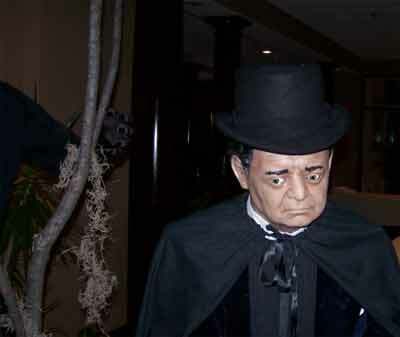 Even Peter Lorre could be found in the dark corners of Bash! 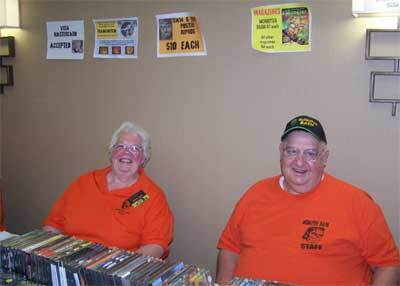 Marge and Tom, two of the smiling faces in the Creepy Classics room at Monster Bash. Marian Clatterbaugh and Elvira at Monster Bash! 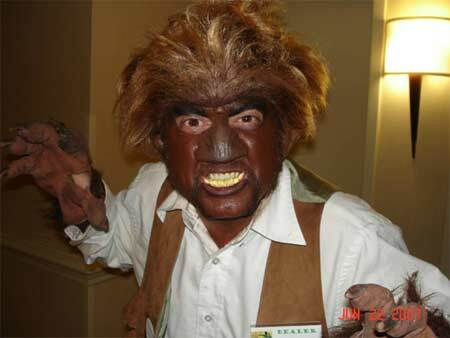 MIchael Thomas, Mark Statler and Larry Tinkler in the Bash Make-Up Department as Mike applies layers of hair to Mark. 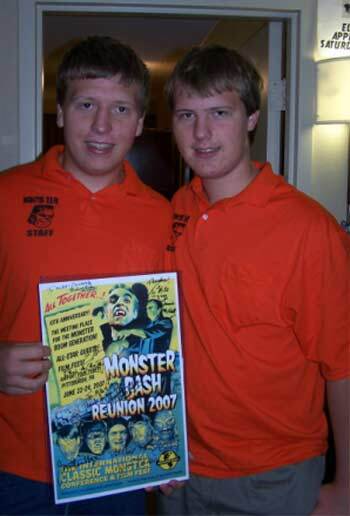 Michael and Conner display there autograph collection at Bash!